Precious & Banjo have been REHOMED. Precious and Banjo are an incredibly bonded pair, Banjo particularly relies on Precious and hates to be parted from her. 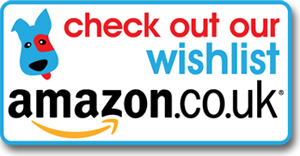 They are both very friendly and affectionate dogs and will demand attention and cuddles. They will bark initially at people they don’t know but are soon won around and they are lovely with people of all ages although we would prefer to home them with children of school age and above. They are both clean in the home and good in the car, although they will bark with excitement at first but soon settle down. They adore their walks but can be strong on the lead for the first few minutes, so some extra lead training for them both would be beneficial. 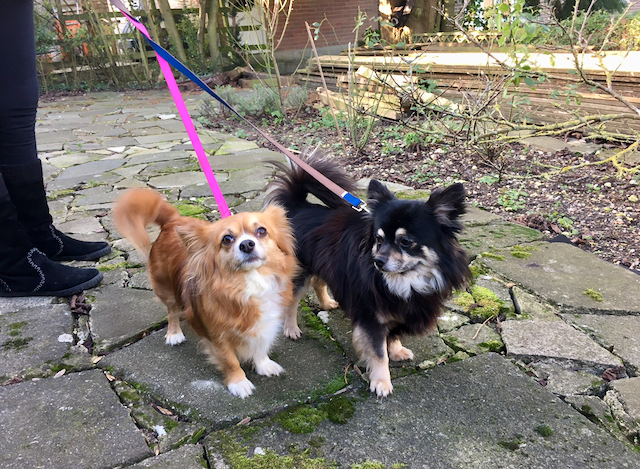 Precious & Banjo are friendly with other dogs and have integrated well with the residents dogs in their foster home, they will bark at cats but show no aggression so could possibly live with a dog savvy cat. Although registered as Chihuahuas on their microchips these two are quite large, Banjo weighs 5kg and Precious is 6kg and they look as if there may be another mix in their genetics, possible Cavalier or something similar, regardless of that we think they are a beautiful pair who would make a family home complete. They have always been used to living in a loving home with children but sadly their owner passed away suddenly and we were asked to find them both a new home. 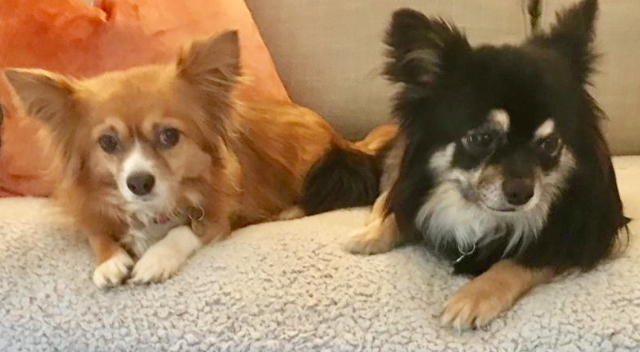 During their time here Banjo has been neutered and Precious has had surgery for cherry eye in both eyes, both have healed well and been brought up to date with their vaccinations and have now been fully signed off by our vets. 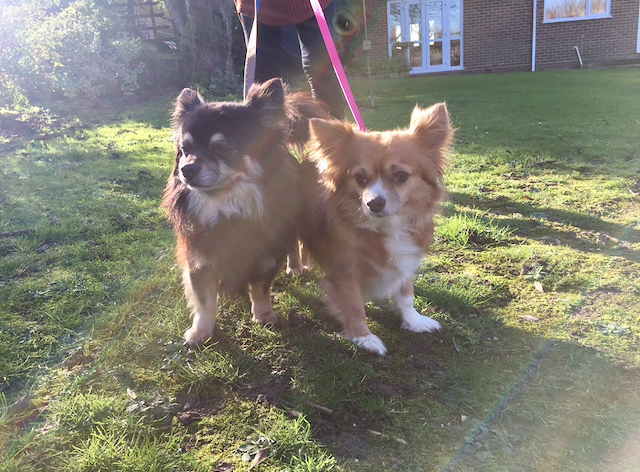 Precious & banjo are both 6 years old, neutered, vaccinated, microchipped, flea and worm treated and being fostered near Deal, Kent. If you are interested in offering Precious & Banjo a home, please complete our online Adoption Form giving as much information as possible including why you would be the right home for them.